Te Papapa Train Station is on the Onehunga Branch Line of the Auckland railway network. It has a side platform layout and is reached from Mays Rd.The station was opened on 18 September 2010 and services started on 19 September 2010. The service is very popular with local commuters. 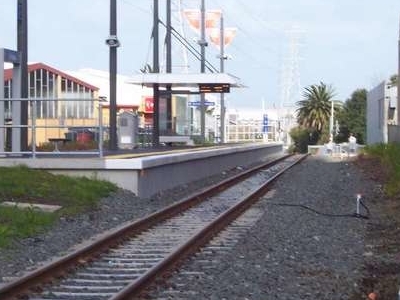 Here's the our members favorite photos of "Railway Stations in Auckland". Upload your photo of Te Papapa Train Station!